August is The Return of Bulgarian Wine Month thanks to BulgarianWine.com, following up last year's original Bulgarian Wine Month! 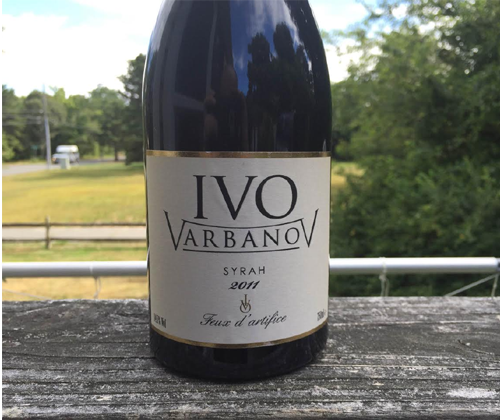 This is the third of six reviews of Bulgarian wine this month, and the final of three by Ivo Varbanov. Those wines by Ivo are his 2011 Merlot-Syrah "Sheherazade", his 2013 Chardonnay "Clair de Lune", and his 2011 Syrah "Feux d’artifice" that I'm reviewing right now. Ivo Varbanov was born in Bulgaria in 1972, and he started playing piano at the age of six. He grew up to become a famous, award winning concert pianist in his home country. In 2004 he started his own winery in Thracian Valley, in which he himself is the winemaker. After taking time off to battle and defeat leukaemia from 2009 to 2012, he got back behind the piano. And back into winemaking. The wine is 100% Syrah aged in French and Bulgarian oak barrels for 36 months. Fining and filtering was minimal. You know I'm gonna be listening to the song while I taste this wine, as unpatterned and unorganized as it sounds. The color is a dark purple. As soon as I popped the top I got hit with the smell of big, sticky fruit. In the glass there's aromas of stewed plums, grape jelly, licorice and allspice. In the mouth it--- alright, I can't do this anymore. How is this considered music? The other two songs from the other Ivo wines were great but what the hell is this? A cat walking across a piano? 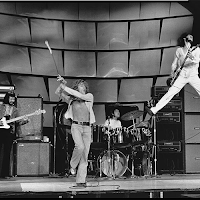 I'm switching over to The Who. A good Syrah deserves some good classic hard rock, goddamnit. In the mouth it's lighter bodied and more tart than expected but it still packs a punch of flavor. There's fruit flavors of plum, cranberry, and even some apple. Then there's some earth flavors like allspice and driftwood. It finishes tart with the flavor of plums, and the lingering presence of balanced tannin. What an elegant Syrah this is. At first I was expecting a full bodied powerhouse and got the exact opposite instead. After that shock it all fit together in perfect harmony. My only concern for some of you readers is that, judging by the temporary staining of the glass, it looks like there was some Mega Purple involved here but c'mon... get over it. UPDATE: IVO HAS CONTACTED ME HIMSELF AND STATED THAT HE HAD TO LOOK UP WHAT MEGA PURPLE IS AND HAS NEVER ADDED CONCENTRATE TO ANY OF HIS WINES. 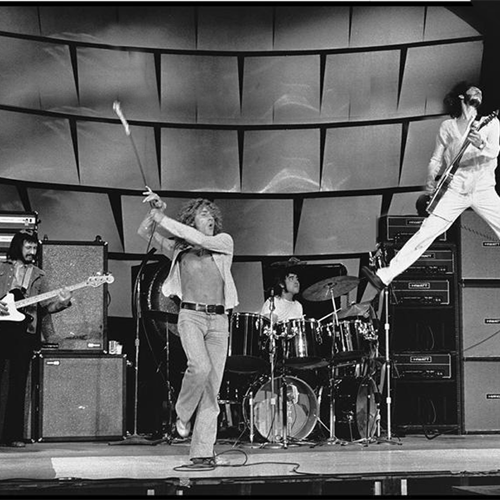 Never get over The Who, though. Ever. You can buy this wine on BulgarianWine.com! A totally accurate chart on wine consumption. Now accepting samples for review in the fall!